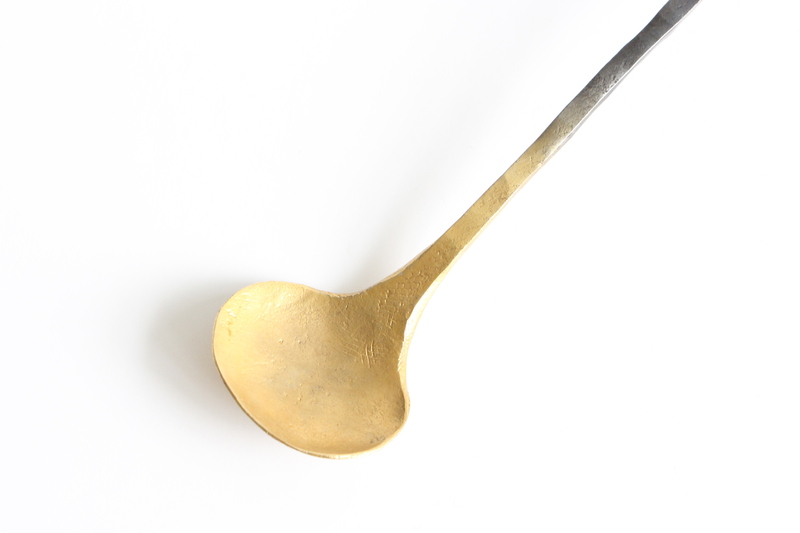 This spoon is made of upcycled tools, collected by Nils Hint from junk yards in Estonia, and gold. 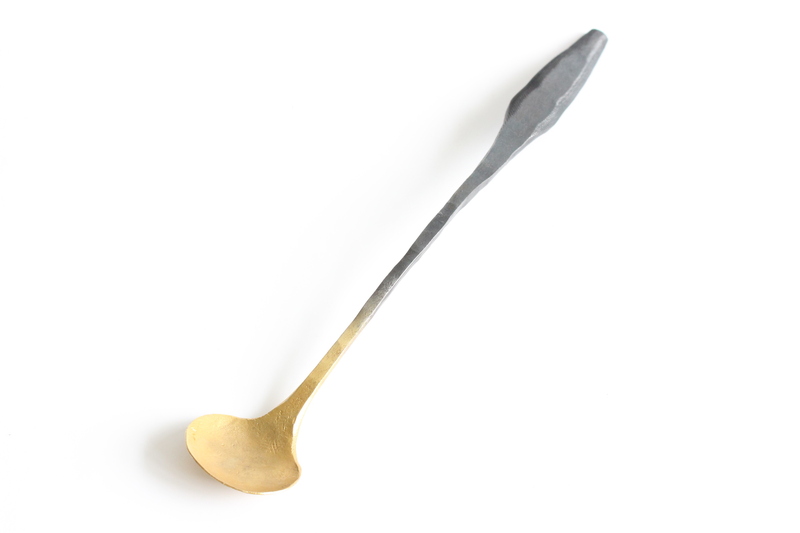 Part of the cutlery series from Nils Hint aiming to upcycle and reshape old cutlery and tools from the era of the Soviet Union. 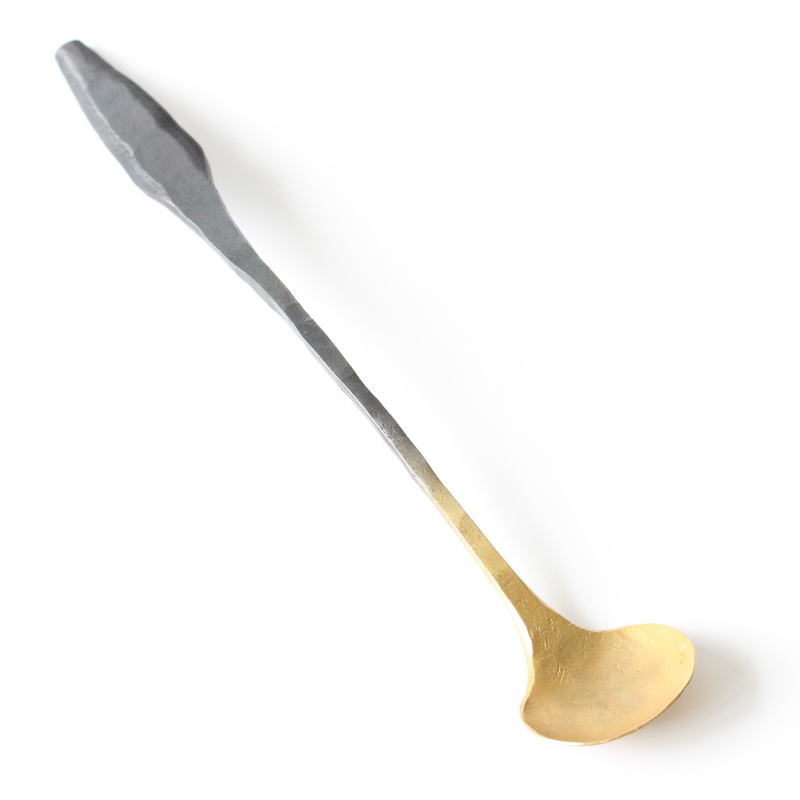 All the pieces are hand forged out of tool steel, playing with the ideals of seize, weight, shape and volume. The cutlery side is gilded using the electrolytic method, leaving the other side of the object with its original function. Users have the choice to use the cutlery or the tool, either way it will be fun. 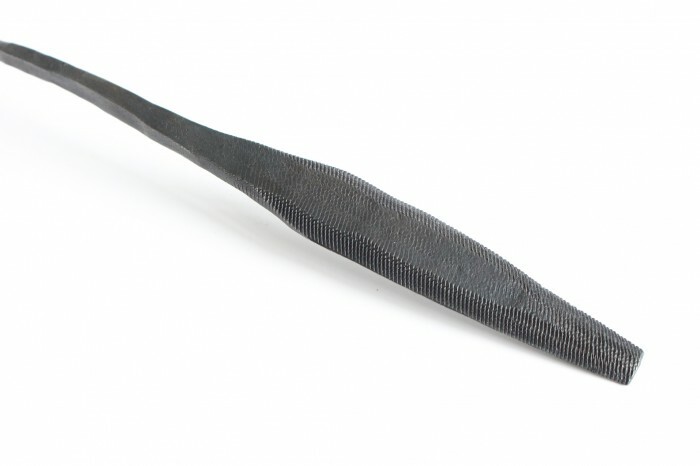 Techniques used: forging, grinding, sanding, eching, wire brushing, gilding and oiling. Working time: approximately 5 hours.